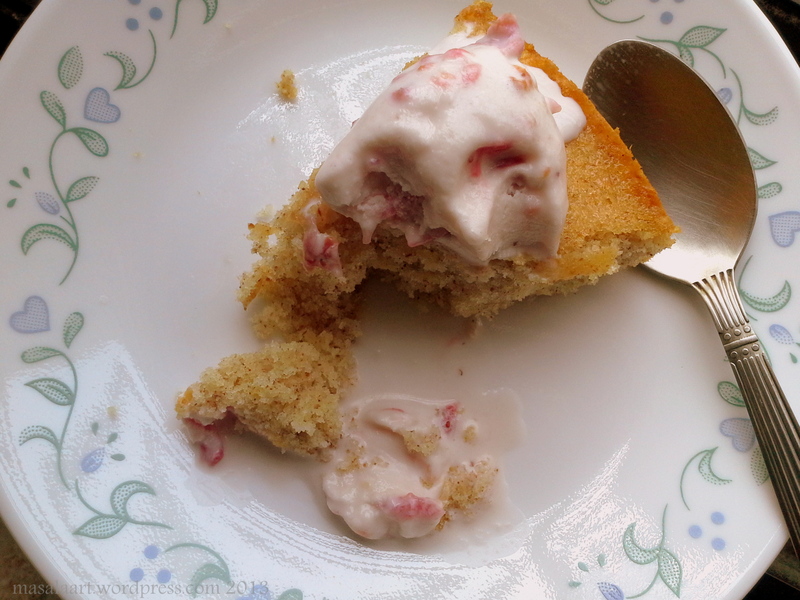 We all need a basic cake recipe- a basic vanilla cake recipe. Sometimes, we get so carried away with creating fancy flavours, gooey ganaches, dense Dutch chocolate confections, that we sort of let the plain vanilla cake languish in the back of the cupboard. Or recipe box. Or of you are digital, saved away in the depths of your Evernote or Springpad app, tagged carelessly and not pulled out often enough. When I was younger, it was all about chocolate for me. Dessert meant chocolate; whether it was ice-cream, cake, mousse or anything else. I still love chocolate, but I have begun to appreciate vanilla and fruit-based cakes and desserts a lot more now. The thing about a simple vanilla cake is, you can’t really go wrong with it. It’s a very agreeable base to begin with, and you can build from there and add chocolate chips or frosting or serve it with ice cream or fresh fruit- because the pairing of vanilla with anything sweet cannot go wrong. I learned how to make this cake at the Purple Foodie Workshop as well, it’s actually taken from the caramel-apple upside down cake we made in class- which just goes to show how much you can do when a plain vanilla cake is at the heart of it all. I made this when we had guests over and couldn’t get my hands on Granny Smith Apples. I decided to leave out the caramel sauce since I didn’t have the apples, and serve it with some nice strawberry ice cream instead. A nice tip I learnt from Shaheen is the addition of warm milk to cake batter. The warmer the milk, the moister the crumb will be. This cake has a nice, moist crumb and springs back beautifully when you gently push the surface to see if it’s done. It is moist and dense enough to be eaten all by itself; but still manages to be light and fluffy enough to soak up cold ice cream. Yup. This cake is actually that awesome. In a large bowl, whisk together the butter, sugar and vanilla. Then add the eggs, one at a time, until the mixture is light and fluffy. Now, the dry ingredients. In a smaller bowl, whisk together the flour, almond meal and baking powder until well incorporated. Fold this into the wet ingredients. Now add the milk and whisk everything together until you get an even batter with no lumps. Pour the batter into your baking dish and bake for 30-40 mins, until a toothpick or skewer inserted into the cake comes out clean. ♥Serve it with ice-cream or creme fraiche? ♥Top it with fresh cherries or cherry preserves? ♥Slather it with chocolate ganache or good old Nutella? ♥Pipe on some tart-and-sweet cream cheese icing or basic buttercream? ♥Drizzle some caramel sauce over it, like we did in class? Definitely agree about the importance of having a go-to vanilla cake recipe. After all, isn’t vanilla the quintessential cake flavor? This one certainly looks delicious and I can’t wait to find an excuse (and time) to make it! The addition of the almond meal is brilliant. Thanks a lot Emilia 🙂 I love reading about all the little coffeeshops you discover! Almond meal is my latest craze- I even added some to a smoothie this morning! 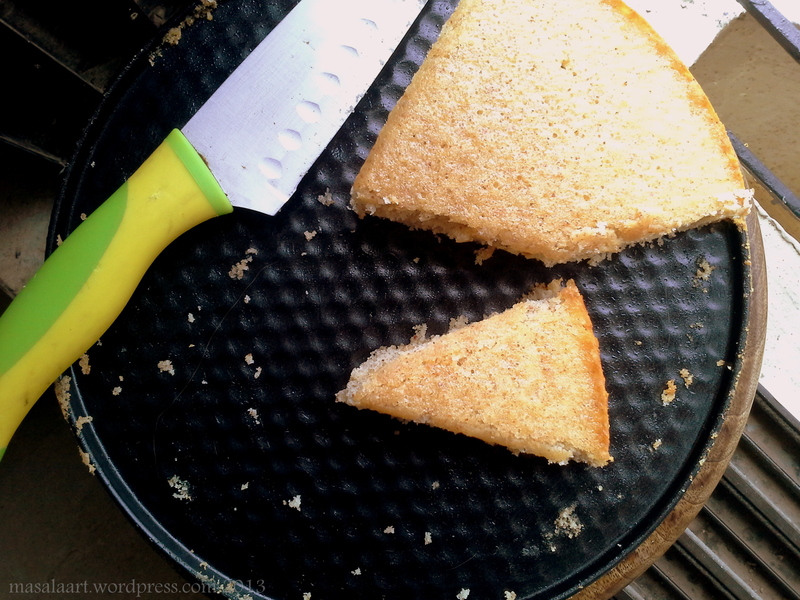 As much as I love fancy cakes, nothing beats a plain & “naked” vanilla cake..all that’s need is a big cuppa tea on the side! And love how minimal the ingredient list- long lists scare me because chances are, I’ll have to stock up on an ingredient which I’ll probably never use again ;)! Thanks so much! And thanks for dropping by my blog, too! 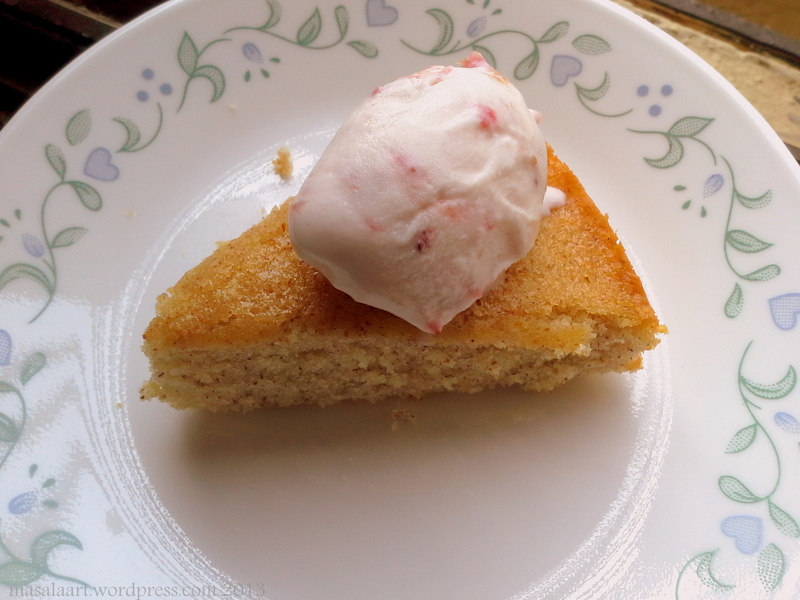 This does sound like a great go-to vanilla cake recipe! Thanks so much Uru! I’ve made this a handful of times and it’s been a success each time.